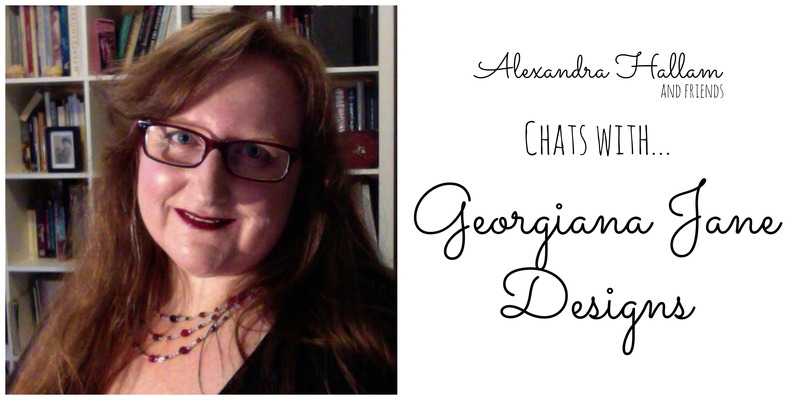 Georgiana Archer is an artist, writer, seamstress, and general creative and crafty type. 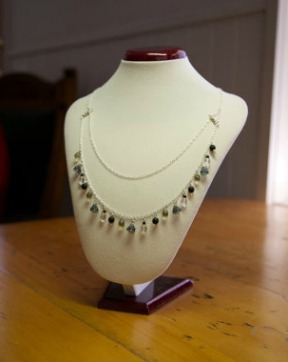 She’s recently launched a range of delightful beaded jewellery, which she makes with love from her home in Central Victoria. 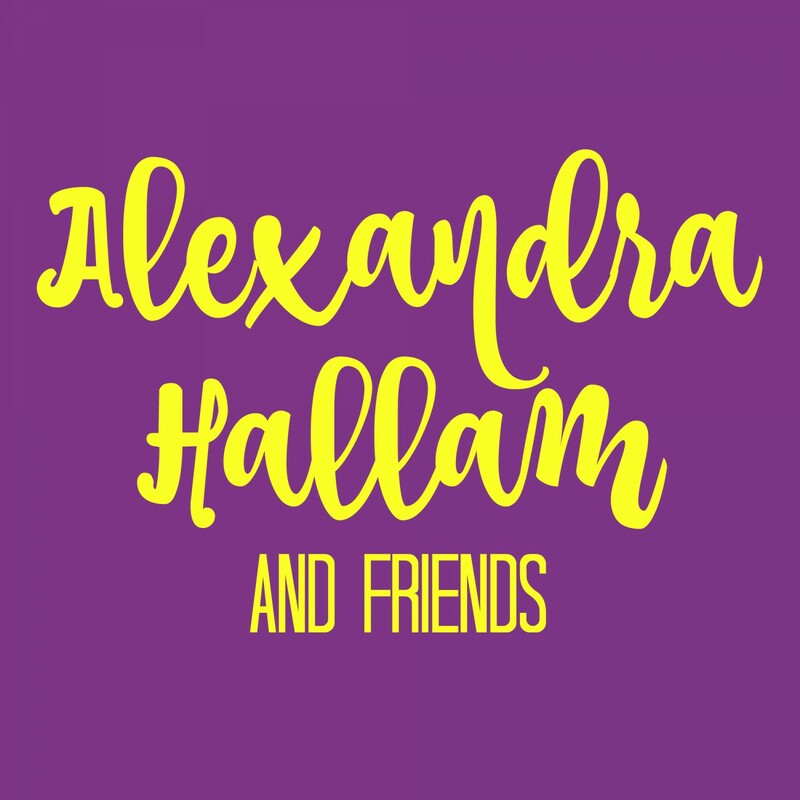 Today, she’s put the “& Friend” in Alexandra Hallam & Friends, and sat down to discuss creating, Etsy and fibromyalgia. I was always the creative kid in class; the one who would draw, or was making things, did things differently. I guess that was inevitable with two creative parents. An old friend recently told me that I announced to her that I wanted to be a writer when I was around ten, although I’m sure that changed frequently. At sixteen I was the youngest person in my art school and I was in heaven! In my early twenties I toyed with fine art and working in film and television before finding a career in graphic design and multimedia. I found I could be creative and challenge my thirst for knowledge and technology so my career spanned about twenty years, although I spread my time between that and lecturing in art and design. I found teaching pushed me to keep abreast of technology and sharpen my game. I loved being with the students. There were always opportunities as a freelancer to dabble in other things, so I still took breaks to do further study in fine art, have exhibitions or pick up my craft loves like sewing. Many of my skills were transferable across jobs, especially when I worked in film as I often worked with the art department or wardrobe. I kept up life drawing classes or untutored life drawing sessions for about twenty years and still get back into it when I can. I’m a bit old school that way, I still believe life drawing is the essence of drawing and drawing is the foundation of everything else creative. For the last four or five years I’ve been quite unwell. 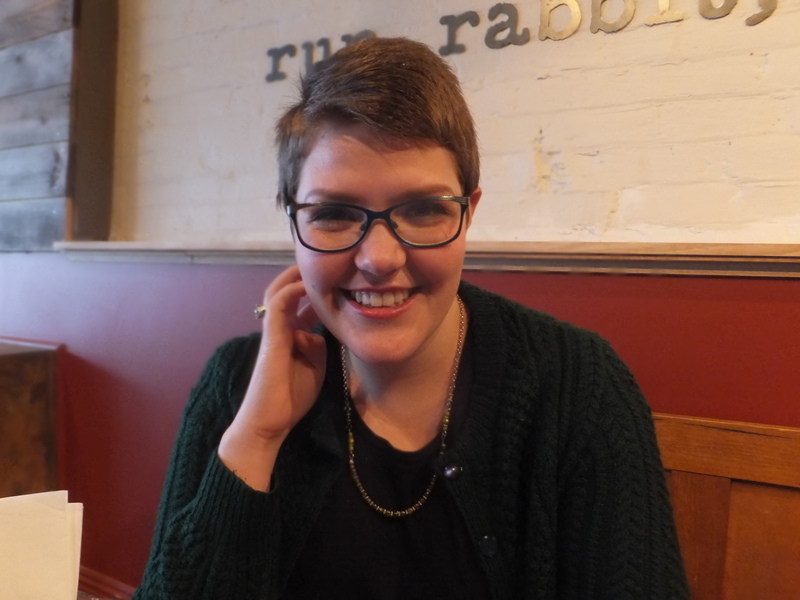 At first I had no diagnosis so I kept trying to pick myself up and get on until finally, through a chain reaction of being sent from one specialist to another, I was diagnosed with fibromyalgia. A number of emotions and thoughts hit me such as disbelief, anger, despondence, sadness, loss, fear due to the unknowns of the condition. It is still unknown what fibromyalgia actually is. As such, no one knows how to cure it. Some people think it goes away, others don’t. Future prospects unknown, this is pretty frightening. I had to change from high achiever, workaholic to being home all day, mostly sleeping or seeing doctors and on a pension. This wasn’t in the plan. My one light at the end of the tunnel has been my most recent studies – a Master of Arts (Writing) at Swinburne. I’m finally on the last subject of the course and very glad I’ve done it. Writing isn’t an instant career, it takes years to develop a ‘name’, find a niche and generate an income. I also needed to fulfil my need to do something visually creative. Lacking in enough energy to go into the studio and take up oil painting just yet, I needed to do something that was easy to pick up and put down, not taxing physically but I could start immediately and had the possibility of turning into a little business. The whole thing started quite intuitively really. When I wasn’t well and was having trouble concentrating on my Masters work I would browse all the pretty things on Etsy, so I got to know Etsy pretty well. I bought a couple of things I liked on there, and then found these Czech glass teardrop beads and I was smitten! Czech glass beads are just beautiful. It’s the quality of the glass and the colour in the glass that is not like the colour in other beads. Although, I do use some other beads such as Chinese dyed Jade beads, which have their own specific beauty. I think developing your own jewellery style comes from not just working with every pretty bead but making a decision about what grouping feels right for you and that for me has ended up being non-faceted beads; mainly round, tear drop and flower beads. For now I’m also working mainly with silver colour findings, although sterling silver will be next on my list as there is a demand for it. And a bit about the jewellery itself? I have a passion for colour, although my current jewellery range doesn’t fully show my love of colour yet. I’m also very much into patterns, rhythm and relationships of form. I enjoy harmony so the 1980s never sat well with me! I’m also quite an earthy person, I’m less interested in the literal symbolic nature of jewellery and more interested in the abstract, intuitive reactions we have. 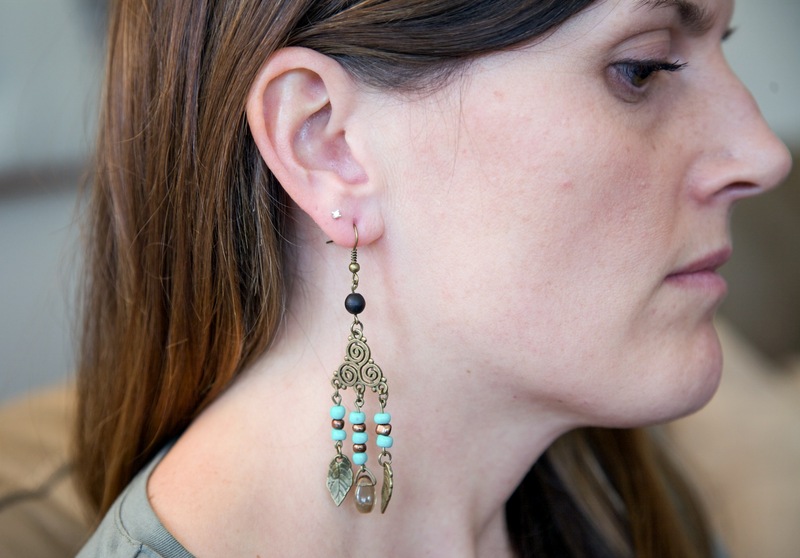 Wearing jewellery isn’t just about how it looks; it’s also how it feels to wear. I believe it must be comfortable so that you enjoy having it on. You’ve caught me in the early stages of my jewellery development. Even though I started making jewellery in October 2013 and opened the shop in April 2014, it has taken a long time to collect enough variations of beads and metal findings in order to really start playing with ideas. There are also practical business processes that take time away from the creative process, like documenting financials, photographing stock, creating listings and generally putting things in place for moving forward. All this while doing a Masters and running a sewing business on the side. In general, I am attracted to beautiful things. I love strong colour statements, unusual colour combinations but those that don’t conflict, just capture attention. I’m also fascinated by surfaces. You can have four round beads and that sounds pretty plain. But then each has a subtle shift in colour and that combined with a shift in surface quality creates so much interest for the eye. 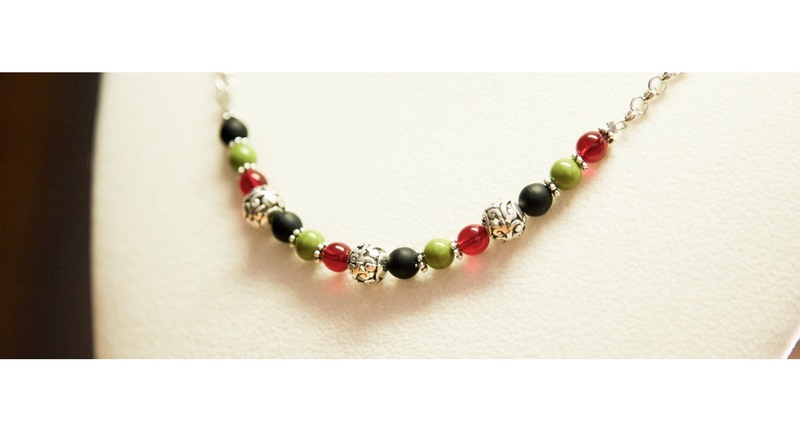 Making jewellery is just like painting in another medium. You speak very highly of the Etsy community – what have your experiences been, and how is selling on Etsy, for you, different to selling to shops or in markets, etc? The last time I sold my work at markets was in the early 1990s when I sold dresses and skirts I designed to echo Mondrian at Greville Street Market in Prahran. This time around I haven’t considered selling at markets, purely because my health probably wouldn’t allow it. That was one of the reasons Etsy was my first consideration. Also, Etsy is global therefore it’s the largest potential market you can ask for. I live in a small town, a tourist town, and many people find it difficult to make ends meet. Especially creative people. Markets can be fantastic for certain types of products but jewellery is everywhere and unless you have jewellery you know will sell like hot cakes, which is usually a fad, then you have a tough call to make ends meet. You also have to factor in the time you spend sitting at the market all day and the cost of the market stall as part of your overheads so you’d need to sell a good deal of jewellery every time you go to market. Etsy is very cost effective; they provide a huge amount of free support via articles, newsletters and teams. It’s open 24/7 and the cost to list is very reasonable. Shops will mark up your products, they have to, making it very difficult to sell to them at a price that is reasonable to consumers and is viable for the individual crafter. Especially in Australia, which is why we are stuck with mass produced options much of the time – except when people venture on to sites like Etsy which do offer an affordable bespoke option. So far, my dealings on Etsy have been excellent. My suppliers are helpful and reliable. My buyers are delightful and I’ve had some lovely conversations. There are also other Australian Etsy sellers in teams who are friendly and willing share tips with you. It’s a very positive competitive environment. What hopes do you have for your jewellery business in the coming months? I have a big announcement to make in spring so I hope that will generate some interest in a new line of jewellery I’m currently working on, so make sure to follow along on Facebook to be amongst the first to see! My mother, Liz Archer, has just joined me with her crochet jewellery line, which is exquisite and adds a whole new dimension to the store. By Christmas I’d like to have the shop full of a suite of strong design styles. It would be great if there were a steady flow of sales so I could keep doing this because I’m loving it! In my dreams it would be nice to have a successful Etsy shop and be able to come off the pension but at this stage, I can only seeing it supplementing my income for a while. We will see what the future holds. In the meantime, I’m just having a whole lot of fun and it’s certainly taken my mind off being unwell! Earlier in the year, I loaned Georgiana my wrist for modelling bracelets to be photographed for her store. In return, she kindly designed the gorgeous green necklace I’m wearing above – the “Alexandra”!